Start a Business or Make Your Existing One Better! an owner-operator of a small business such as a retail outlet employing between five and ten staff. owner-operator of a small franchise employing between five and ten staff that provides a mobile service to customers such as home maintenance. 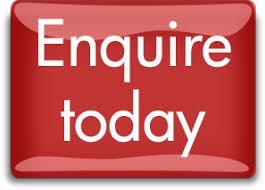 anyone managing an organisation which provides consultation or advisory services to small business. Each business will have a set of general and specific regulations that must be adhered to. Here we will identify and discuss how to manage legal and risk management requirements. In this unit, we will go through how to estimate start-up costs, financial viability and projected cash flow for a small business. We will also look at different ways to fund your business, including crowdfunding. Marketing is the #1 priority for your business to succeed. Here you will learn current and innovative marketing tactics to create a clear marketing strategy that will energise your business plan. In this session we will cover the Business Model Canvas along with establishing an integrated business plan for achieving business goals and objectives. In this workshop, we will consider the major elements of a business idea, undertake research to determine viability of the business opportunity and present the idea with reference to the legislative frameworks affecting the business. We will also investigate the plethora of opportunities that are available to you whether it be creating extra income from your hobby or other skills you possess, to exploring the many online business opportunities that are out there. Dr Dion Klein is an international author and speaker on business networking; here you will learn his key strategies on how to create valuable networks to help your business succeed. You will also learn the skills and knowledge required to establish, maintain and improve client relationships and to actively participate in networks to support attainment of key business outcomes. Do you get a bit overwhelmed with technology? In this unit we aim to create a sense of calm for you to embrace and plan your business using digital technologies to achieve your business goals. It will involve undertaking a basic review of your business digital readiness, identifying opportunities and developing an action plan for using digital initiatives in a small business. One of the biggest challenges for any business owner (no matter what size) is managing time. In this unit, you will develop an integrated time management plan to assist you in achieving you business goals and objectives and strategies to avoid burnout. Upon the enrolment process, a review will be made of your current experiences and qualifications to determine if you are eligible for any credit transfer or RPL for Units of Competency not listed here and that meet the packaging rules. SKILLED CAPITAL FUNDING. “Skilled Capital is an ACT Government training Initiative, funded by the ACT and Australian Governments”. Eligibility checks apply. If you are eligible, you only have to pay $500. Go to the Skilled Capital website to check on the eligibility requirements or contact us to discuss your situation. The WISE Academy will do another check on your eligibility upon enrolment. Tuition (Assessed): $2350.00 (GST Free). Delivery Location(s): All face-to-face sessions will be conducted in Canberra. The location of where the course will be confirmed at time of enrolment. Coaching sessions and webinars will be conducted via Zoom, Skype or phone. Schedule: The course consists of approximately 55 contact hours. It is anticipated that the student will have to dedicate 4-6 hours per week to complete weekly reading and assessments.